The teenaged Dalot signed across the dotted line for the Red Devils on Wednesday. 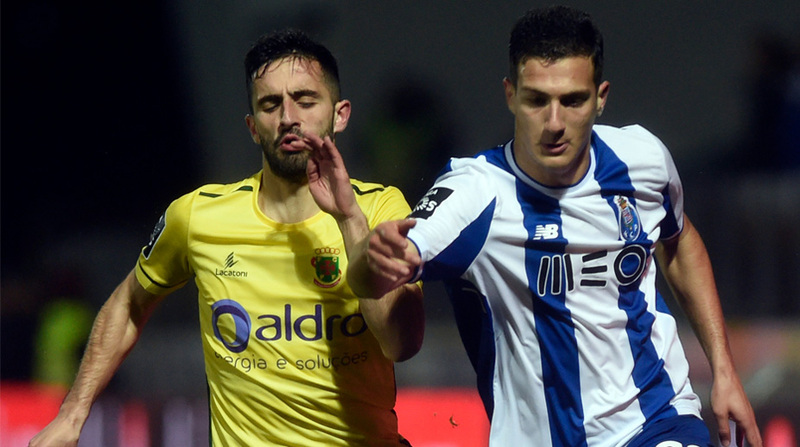 Most Manchester United fans hadn’t heard of their club’s latest acquisition, but Portugal U-21 fullback Diogo Dalot isn’t concerned that his relative lack of top-flight experience will prevent him from making an impact at Old Trafford. “I think that age is not very important now in football. I think that if you work and you improve, I think you can handle it,” the 19-year-old, who became United’s second signing of the summer, told MUTV in an interview. After starring for Porto’s B team in the Liga Pro in the 2016-17 season, Dalot made the jump to the main team last campaign and despite playing only six games for the Dragoes, was snapped up by Jose Mourinho’s United. Another reason for United fans to get excited about the young defender is the fact that he can play on either flank, giving compatriot Mourinho extra more flexibility. “I prefer to play at right-back, but if I need to play in any position, I will play, no problem,” the Portuguese confidently stated, giving rise to speculation that he may be utilised at left-back next season. Dalot may not have played a tremendous amount of senior games, but he’s played in England before, for Porto against Liverpool in the UEFA Champions League and admitted that he was looking forward to many such nights with United. “I was unbelievable, my debut in the Champions League. Just feeling the weather, the Champions League, the song of the Champions League, it was very good,” the former Porto man added.